Storage tanks, pressure tanks, agitators and mixture tanks projects. We also supply custom-made stainless steel storage tanks, mixing tanks and pressure tanks ranging from 50L to 100,000L. 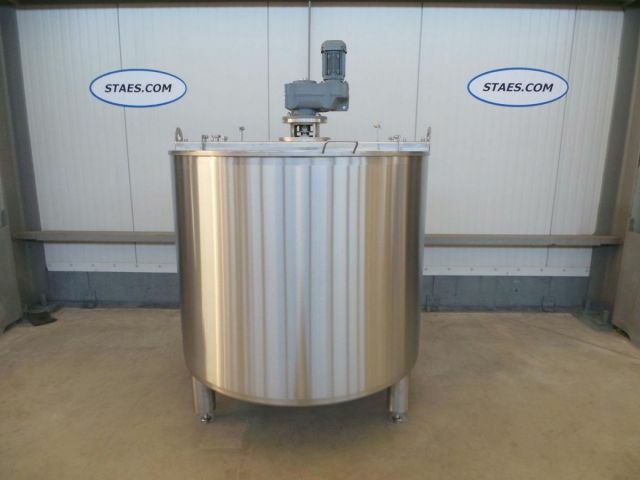 We configure and produce the tanks based upon your requirements. We design the tanks in SolidWorks and provide you with the dwg- and step-files you can then integrate into your project. All tanks can be equipped with heat exchangers, insulation and various agitators from various suppliers. ISO-9001:2008 = certification for quality management; WPQR (LMK) (QMOS); WPS; certification for welding operators 287.1; certification for material 3.1. PED CE declaration of conformity; EN13445-3 = construction and calculation standard; X-ray monitoring; traceability ISO 9001 - 2008; risk analysis. CE declaration of conformity in accordance with directive 2006/42/EC; traceability ISO 9001 - 2008; risk analysis. You can look at the pictures and videos of finished CUSTOM-BUILD projects below. If you are looking for a project like this, you can contact us via the related link. We also build customised tanks and agitators for you !